Visiting Glasgow and seeking for a location to swim? Nice choice! Don't forget to tell us how did it go. 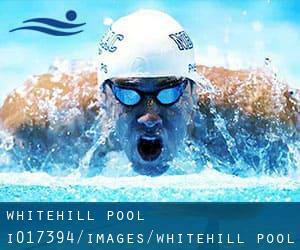 Introducing now Whitehill Pool swimming pool, a fantastic swimming pool sent by a swimmer like you few days ago. Have you visit this pool? Do you work here? Please, get in touch with us for those who have details that you believe is gonna be beneficial and keep in mind from now on you can actually now promote each pool just by sharing this page with your pals or adding comments in the Facebook boxes below. Come on and help this pool to be the first in Glasgow! Among all of the activities offered by the centre, when you are considering swimming you are going to appreciate 25 meters, Indoors. Just in case you want to contact this Swimming Pool prior to dropping by, we only know the phone number. On Onslow Drive parallel to Duke St. at Meadowpark St. in the East End near Alexandra Park. If you believe that any of the info is incorrect, please make contact with us. Assist us be better day-by-day. Bellahouston Drive , Glasgow , Scotland , UNITED KINGDOM (Postal Code: G52 1HH). This sports centre gives 25 meters, Indoors. For this Pool, only phone number is number here. Summit Centre , 11 Minerva Way , Finnieston , Glasgow , Scotland , UNITED KINGDOM (Postal Code: G 3 8AU). Among all of the activities supplied by the centre, for anybody who is thinking about swimming you can expect to enjoy 20 meters x 11 meters, Indoors. Just in case you wish to get in touch with this Swimming Pool just before dropping by, we only know the phone number. 10 Braid Square , St. George´s Cross , Glasgow , Scotland , UNITED KINGDOM (Postal Code: G 4 9YB). Among all of the activities supplied by the centre, for anybody who is thinking about swimming you can expect to enjoy 25 yards, Indoors. Just in case you wish to get in touch with this Swimming Pool just before dropping by, we only know the phone number. Bogbain Road , Glasgow , Scotland , UNITED KINGDOM (Postal Code: G34 9LW). Swimmers like you reported 20 meters x 12.8 meters, Indoors. Unfortunately we do not have the e-mail address of this Swimming Pool, but we can provide you with the phone number. 27 Washington Street , Glasgow , Scotland , UNITED KINGDOM (Postal Code: G 3 8AZ). Among all the activities offered by the centre, for anybody who is interested in swimming you will enjoy 50 feet x 7.5 meters, Indoors. If you'll want to contact this Swimming Pool, email address and phone number are both number. Danes Drive , Scotstoun , Glasgow , Scotland , UNITED KINGDOM (Postal Code: G14 9HD). Among all the activities provided by the centre, in case you are considering swimming you can expect to enjoy 25 meters, 10 lanes, Indoors. Just in case you want to make contact with this Pool just before dropping by, we only know the phone number. 61 Arlington Street , Glasgow , Scotland , UNITED KINGDOM (Postal Code: G 3 6DT). This sports centre offers 21 meters, 6 feet 2in maximum depth, Indoors. Contact information for this Swimming Pool similar to phone number and e-mail address are number. 12 Cranworth Street , Hillhead , Glasgow , Scotland , UNITED KINGDOM (Postal Code: G12 8BZ). Among all the activities offered by the centre, if you're considering swimming you will enjoy 30 yards x 9 meters, 0.9 meters - 2 meters depth, 0.9 meters - 2 meters depth, Indoors. If you will need to make contact with this Swimming Pool, e-mail address and phone number are both number. Braidholm Road , Giffnock , Glasgow , Scotland , UNITED KINGDOM (Postal Code: G46 6EB). This sports centre provides 25 meters, Indoors. Contact information and facts for this Swimming Pool including phone number and email address are number.